Complete package with an electric heater, a practical decorative rim for the HT150 that can function as a shelf, special steps, a 2-part cover, filtration and a bubble system. As an extra accessory you can also choose a LED light system, which changes to different nuances of red, blue, green and yellow every four seconds. Suitable for lighting in a wet environment. 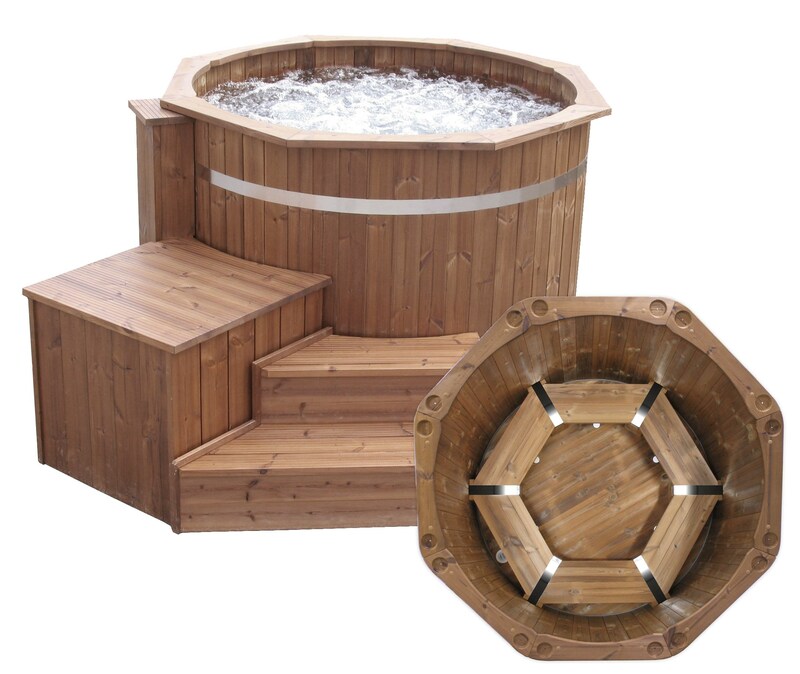 HT150 Basic is a hot tub specifically designed for outside use where the climate remains above 10 degrees (celsius) and never below zero. If you have not noted "winter usage", please find it here and read about filtration systems and use in colder climates. Regarding water hygiene you can read about it here. As standard the Electric model comes equipped with a 3 kW heater and that is not enough to keep the water warm if the ambient temperature is less than 10 degrees celsius. It is possible to add an extra heater. This is detailed in the information for filtration systems. 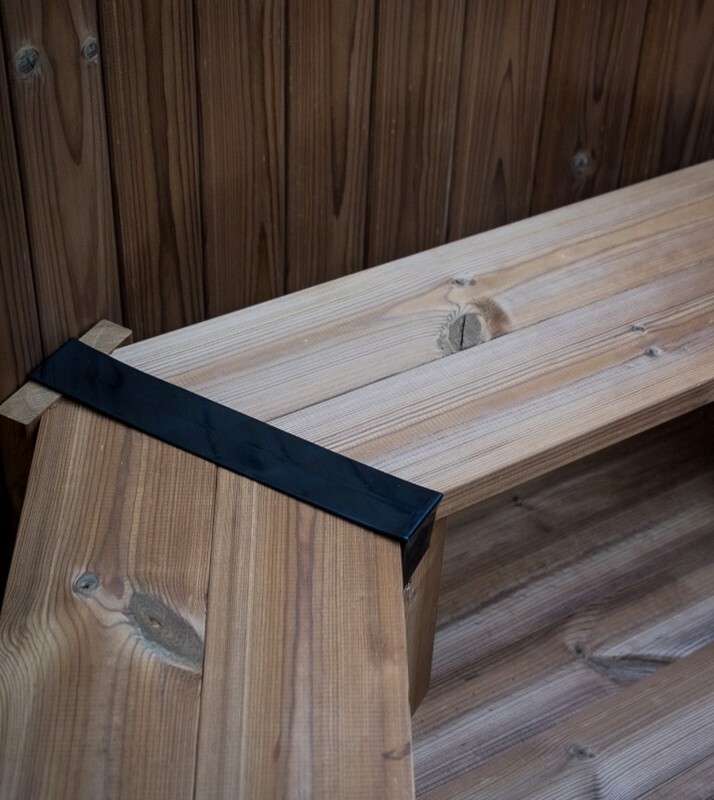 If due to location it is feasible, both wood and electric heating can be combined. Read more on our recommendations regarding filtration.